RAG was officially opened in 2003 and is dedicated to the memory of Eddie Santaguiliana, a former Mayor of the Shire. The gallery is located in Redland City, east of Brisbane, an area that covers 537 square kilometres consisting of mainland and islands. 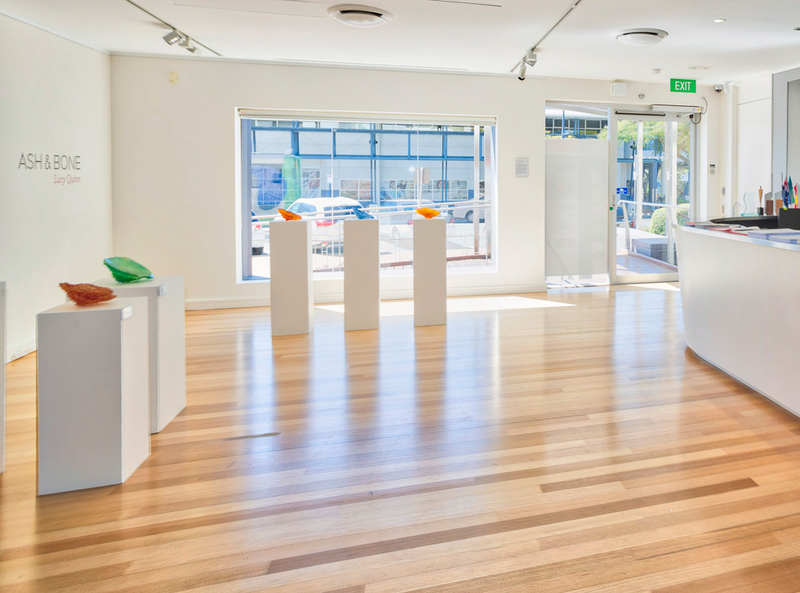 Redland Art Gallery serves a population of 151,987 in a region of bayside suburbs, hinterland areas and islands scattered throughout Moreton Bay. RAG’s exhibitions and events feature local, Queensland, nationally and internationally recognised artists. The exhibition program is showcased in six exhibition spaces over two locations at Cleveland and Capalaba. Gallery programs extend to island and mainland locations. The gallery’s policy is to resource and present a professionally managed visual art exhibition facility which has an annual calendar of exhibitions and public programs. It will provide opportunities for the Redland community and visitors to the Redlands to access and engage with the visual arts. RAG acknowledges the traditional custodians of the lands, waters and seas where we work. We pay our respects to Elders past, present and future. Image: Ash and Bone: Lucy Quinn 2016. Courtesy of the artist and Redland Art Gallery. Photography by Stewart Gould.